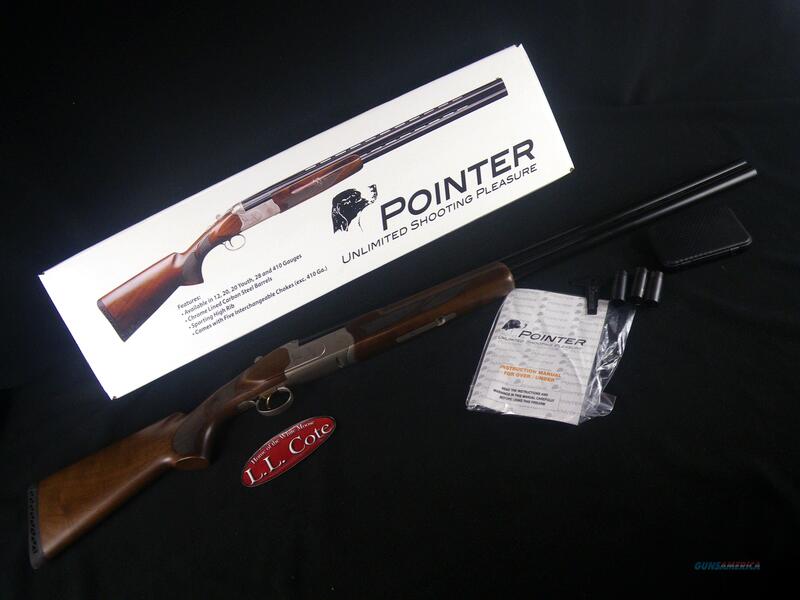 Description: You are bidding on a Legacy Pointer 1000 Sporting O/U in 12ga with a 28" barrel and 3” chamber. This pointer over under 12 gauge has 5 interchangeable chokes, high, ventilated sporting rib, brass bead front sight and chrome lined, carbon steel barrels with 3 inch chambers. Stocks are high quality Turkish walnut. Actions are single trigger, select fire, auto reset safety. There is fine craftsmanship in the silver receiver. Displayed images are stock photos. Any questions please feel free to ask (our phone number is in the additional information tab above).